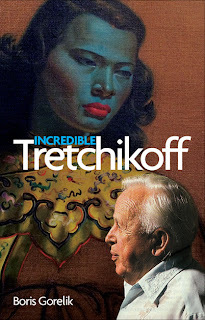 Incredible Tretchikoff: What a find! So many interesting things have been published in Afrikaans about Tretchi lately, especially now that the Tretchi retrospective is in full swing! It's a pity that most of you folks don't read Afrikaans, really. Yvonne du Toit, an independent journalist from Cape Town, was a friend of Tretchikoff and even made two documentaries about him. Besides, she's the one who came up with the title of the exhibition: the People's Painter. 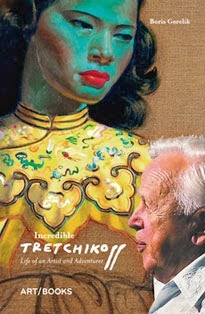 For almost two decades now, she researches Tretchikoff's story. On this photo, she displays two portraits that she bought from his muse, model and mistress Leonora Moltema, or Lenka. 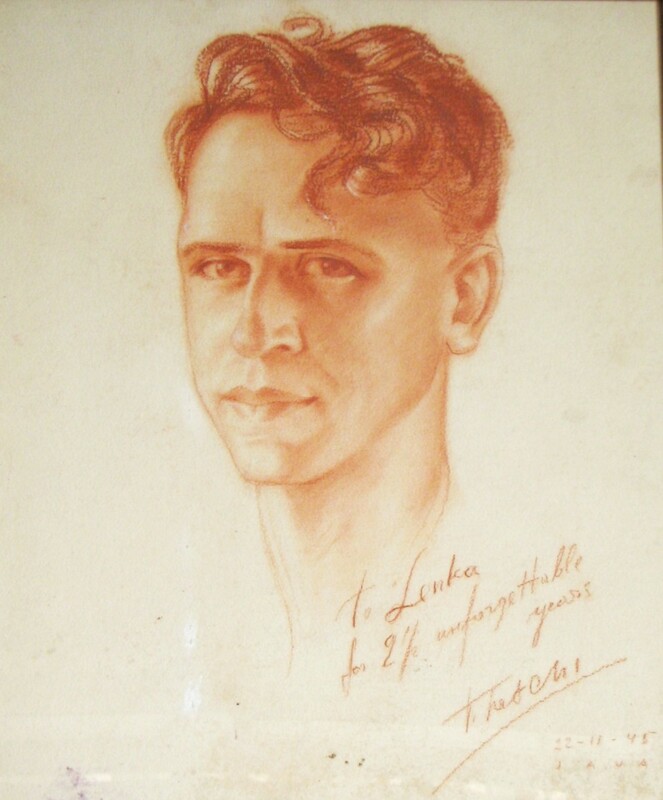 He painted her in Java where he found himself during World War 2. Both pictures are very interesting. But look at Tretchi's Self-Portrait from 1945!